All major credit and debit cards accepted as well as PayPal. 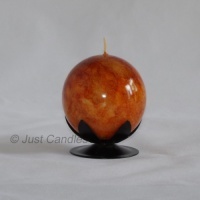 A pair of high quality, low smoke drip free ball candles. They have bright flames and easy relight wicks. A stylish decoration and perfect for creating a warm inviting atmosphere in every interior.